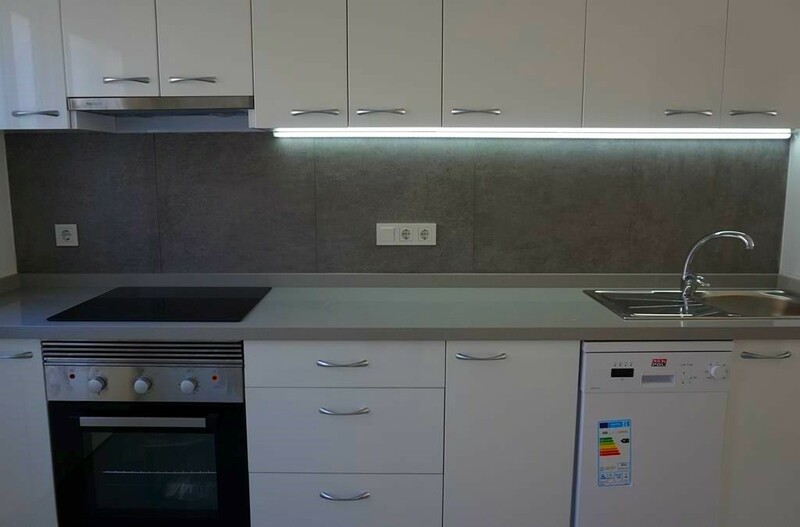 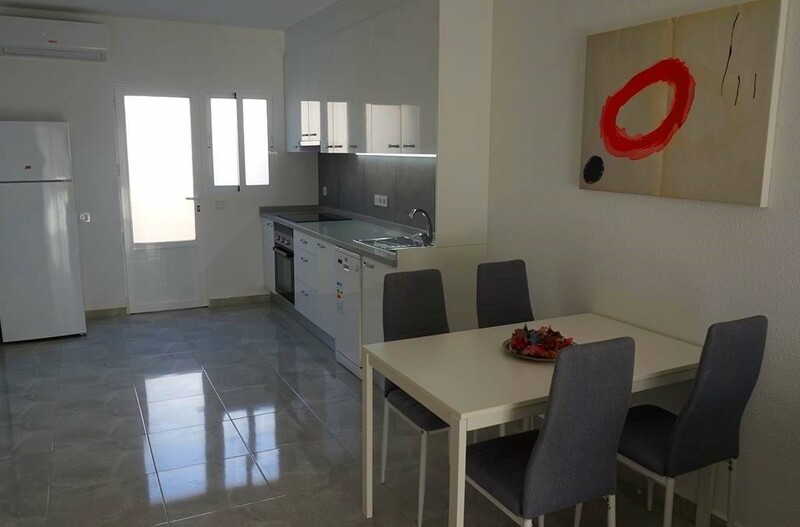 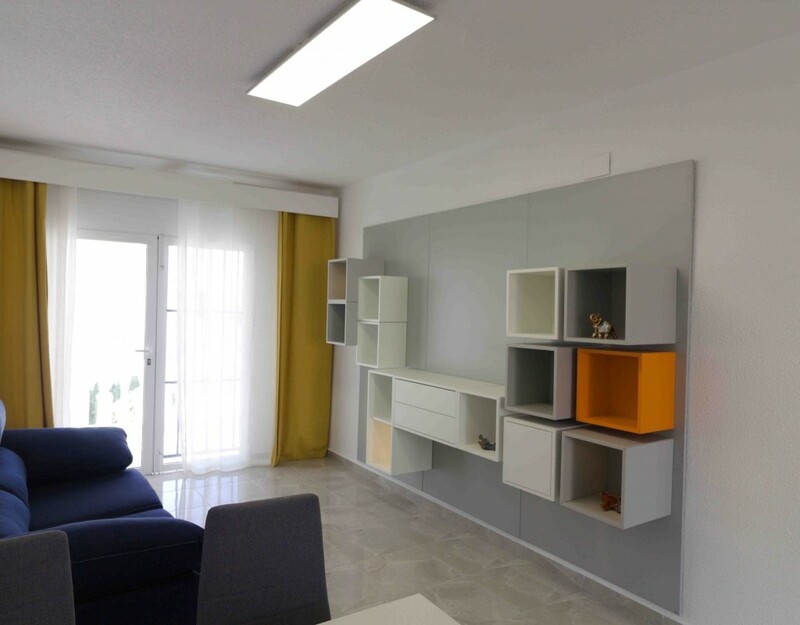 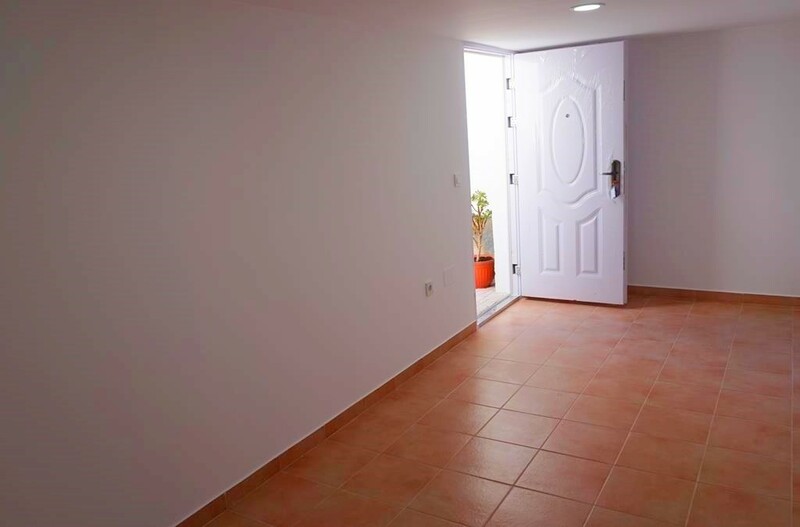 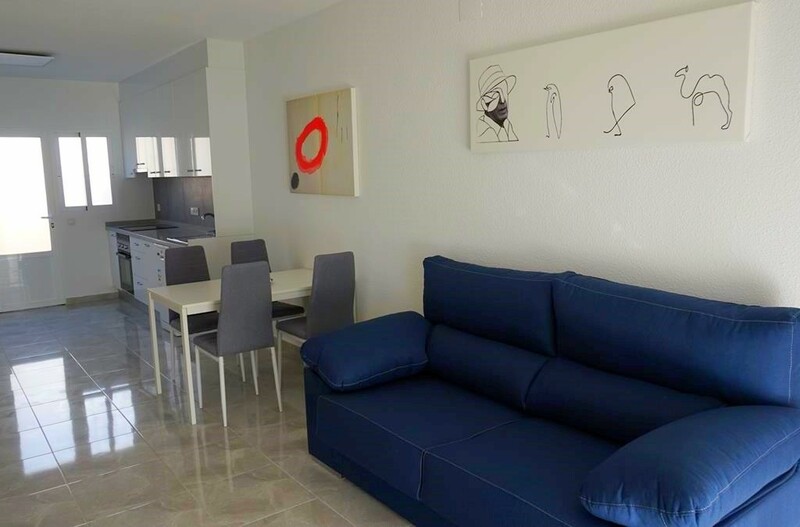 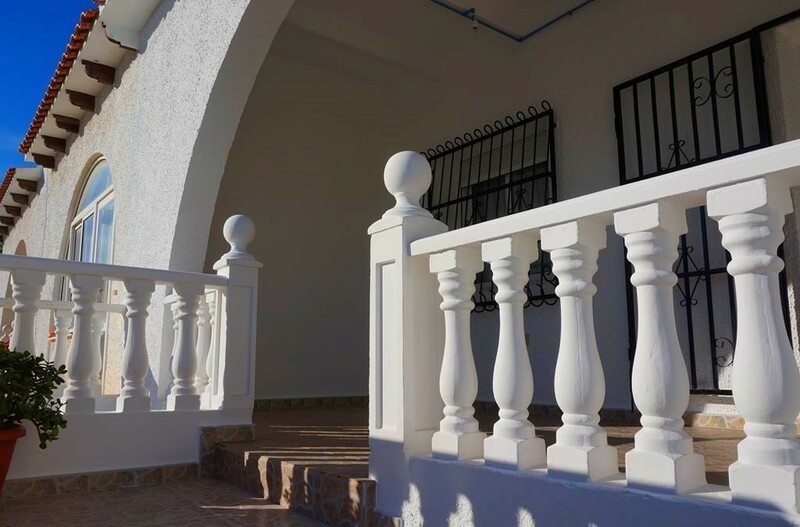 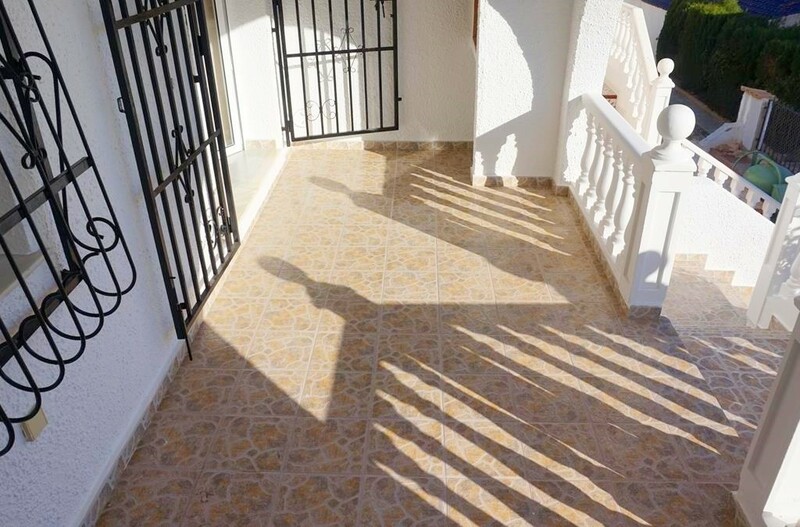 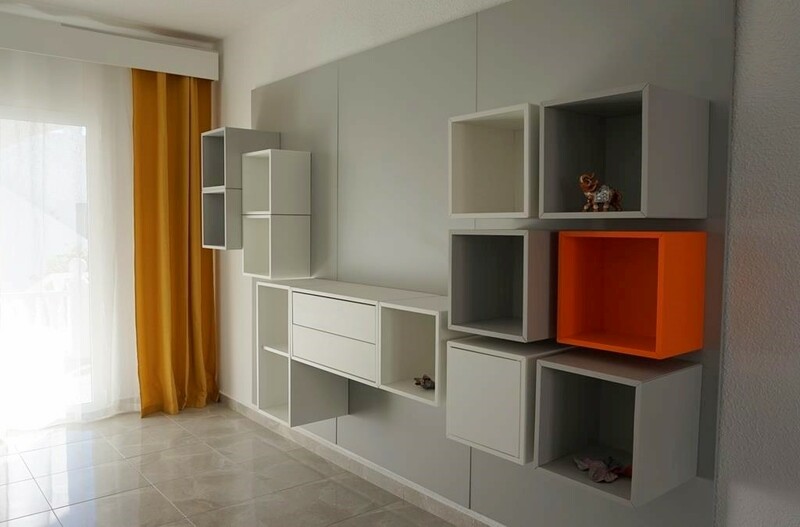 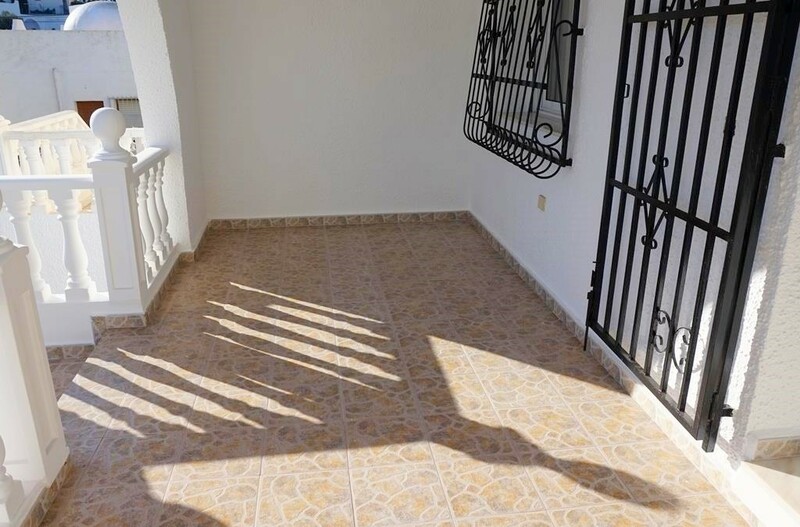 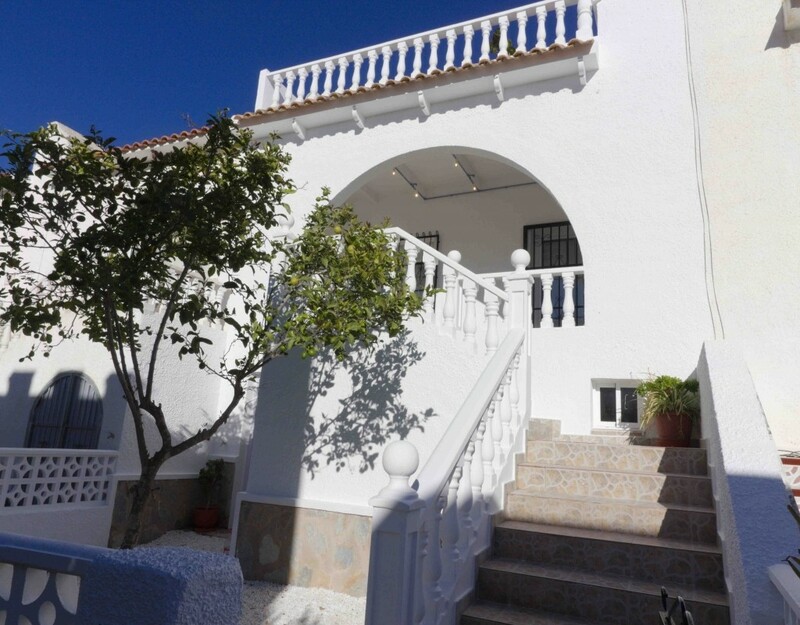 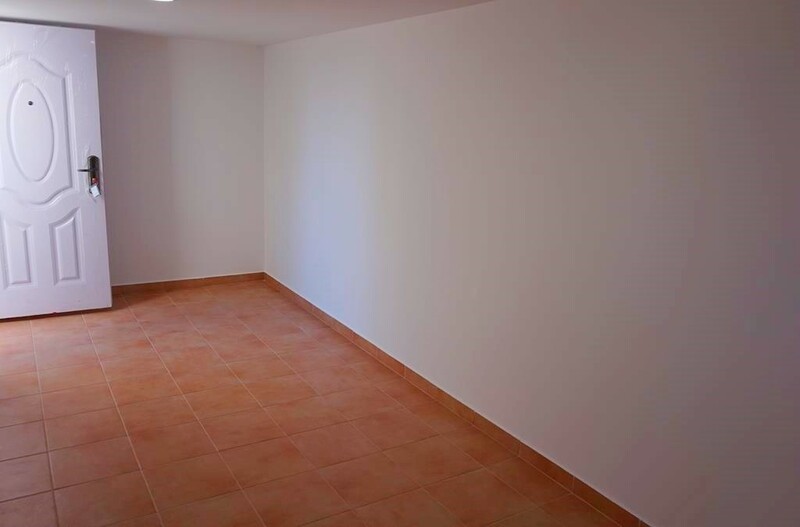 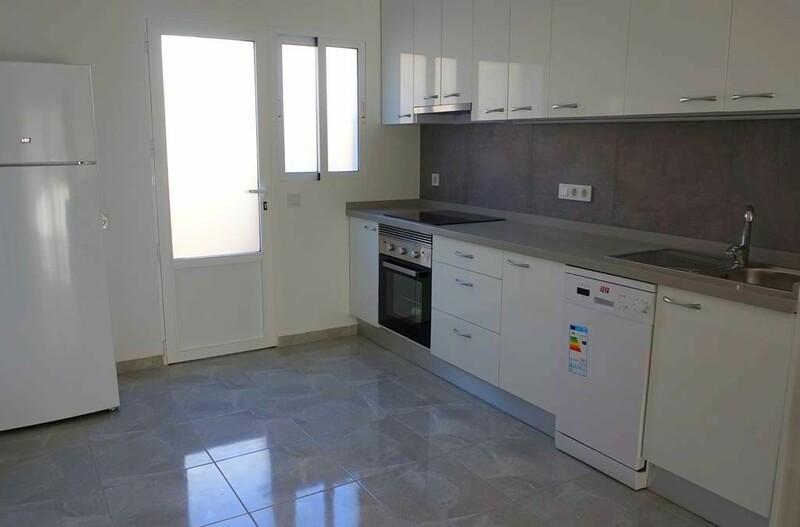 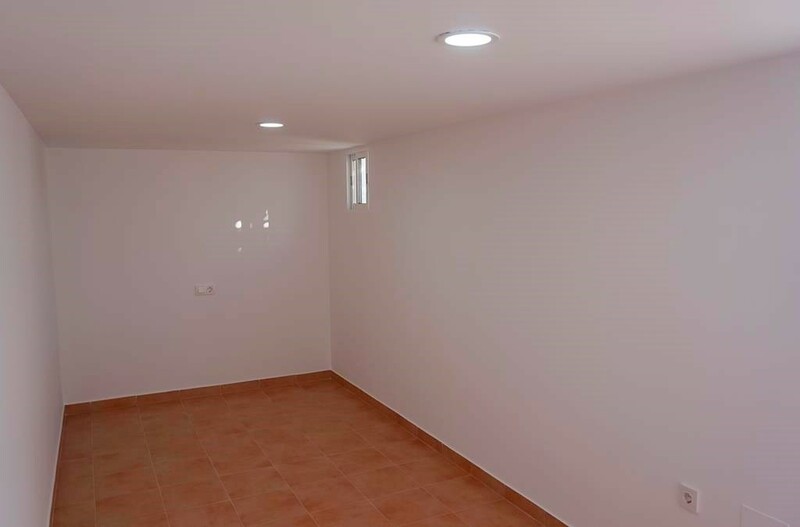 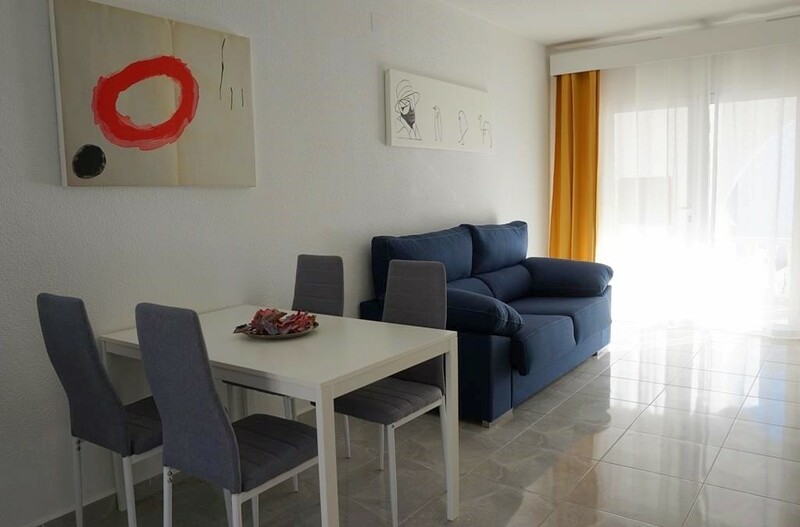 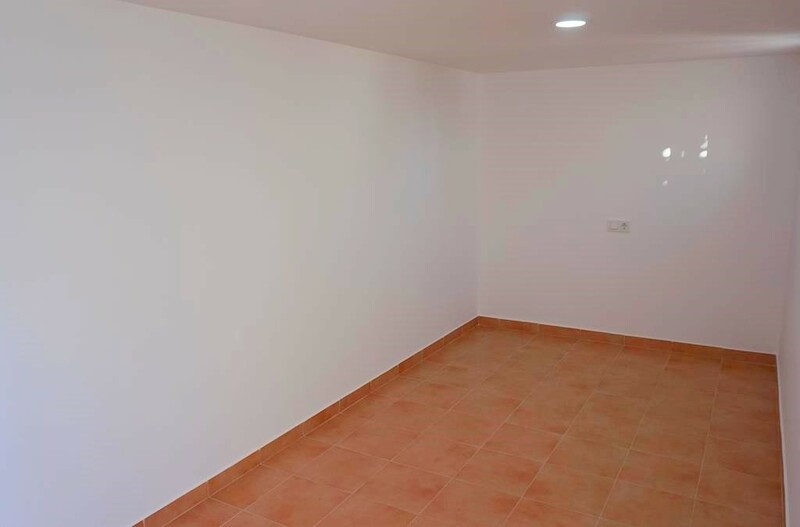 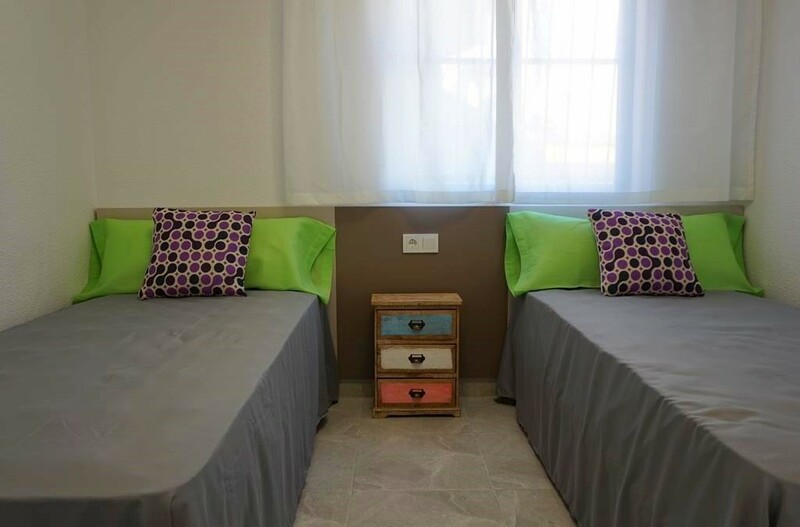 This stunning, fully refurbished 2/3 bedroom townhouse is located in the popular Blue Lagoon area, Villamartin, Orihuela Costa on the Costa Blanca South. 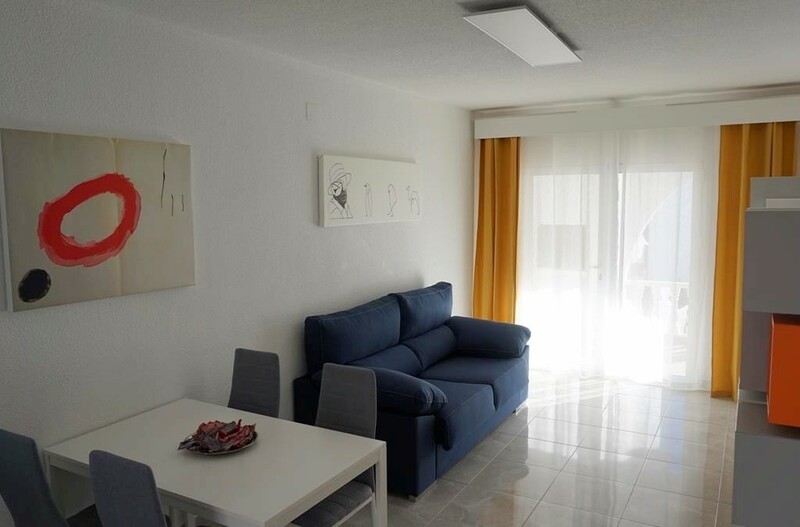 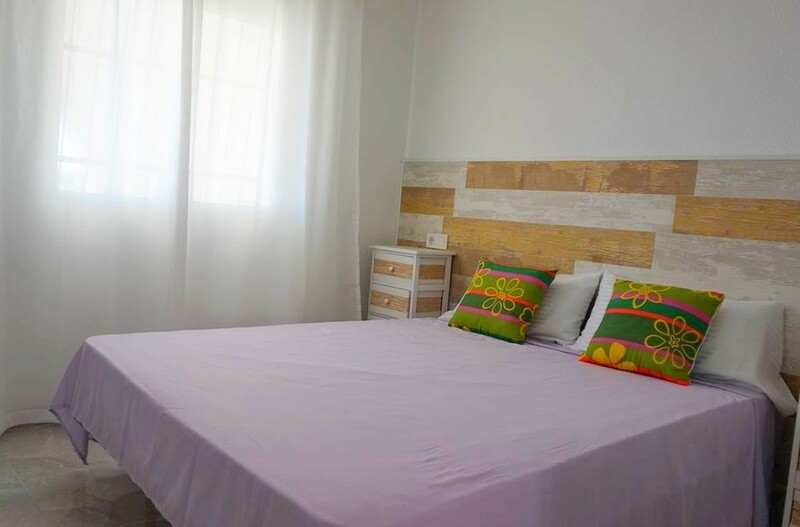 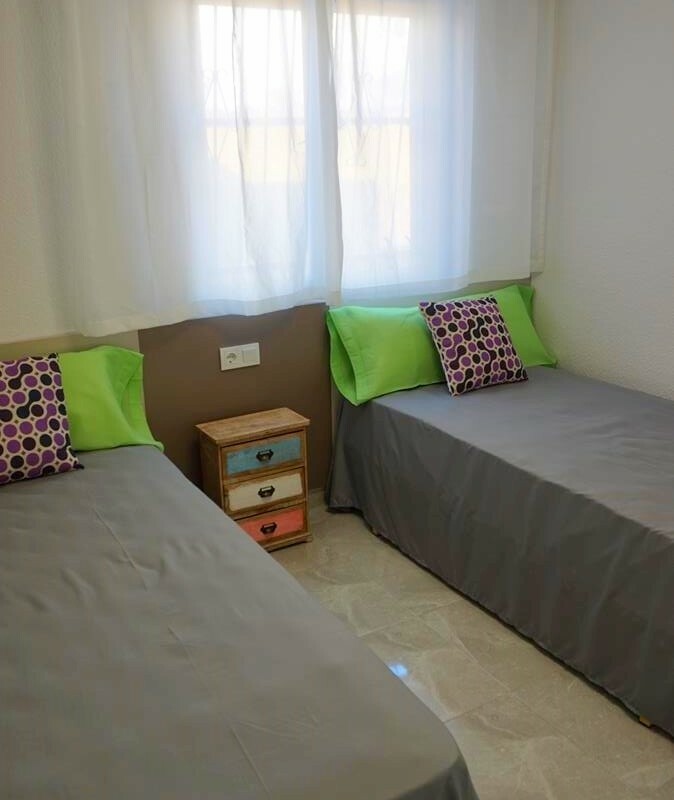 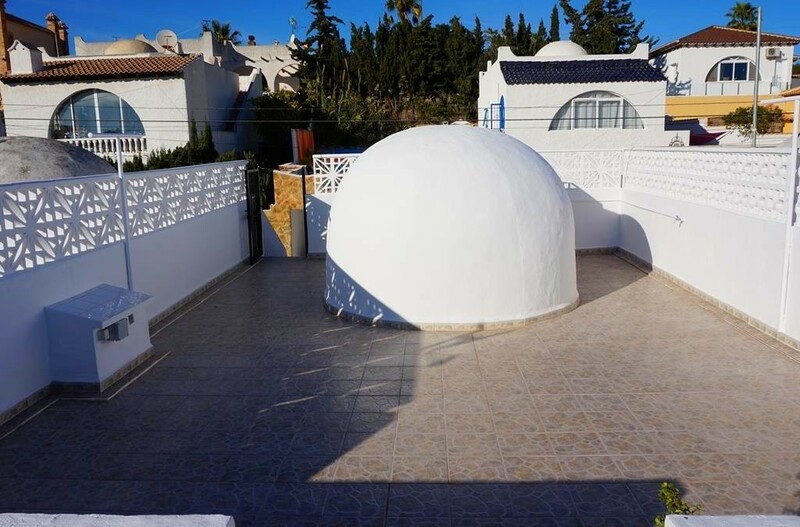 Ideally situated within easy walking distance of some great local amenities in El Galan including, shops, bars and restaurants. 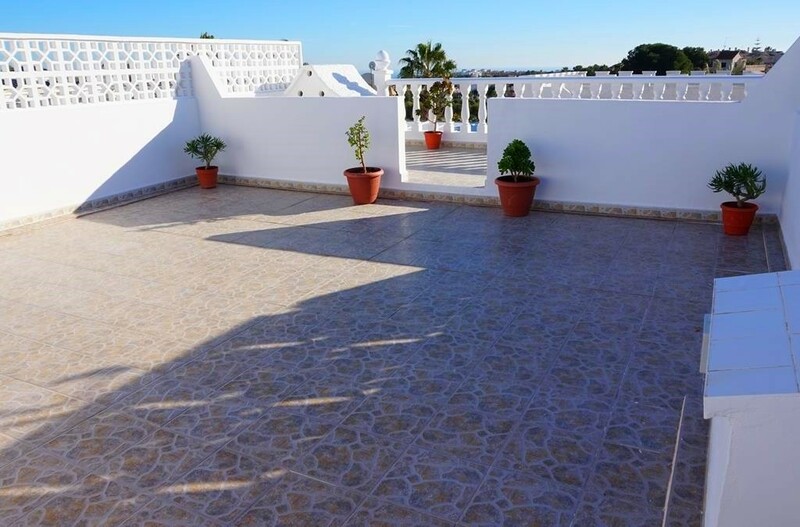 This wonderful property has been fully refurbished throughout and offers; a lovely raised, covered front sun terrace overlooking the garden, a good size open plan lounge/diner with patio doors out onto the terrace plus a modern very well equipped fully fitted kitchen with direct access outside. 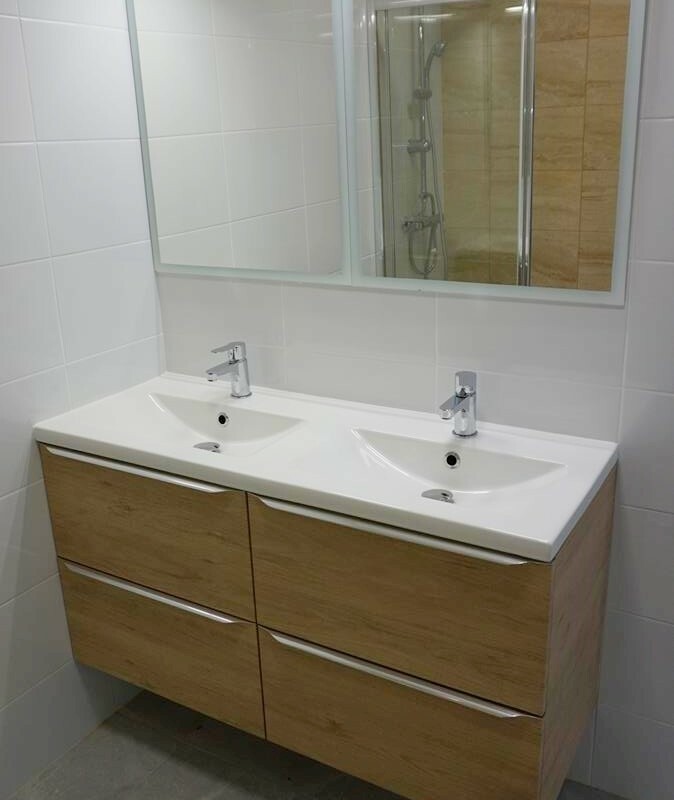 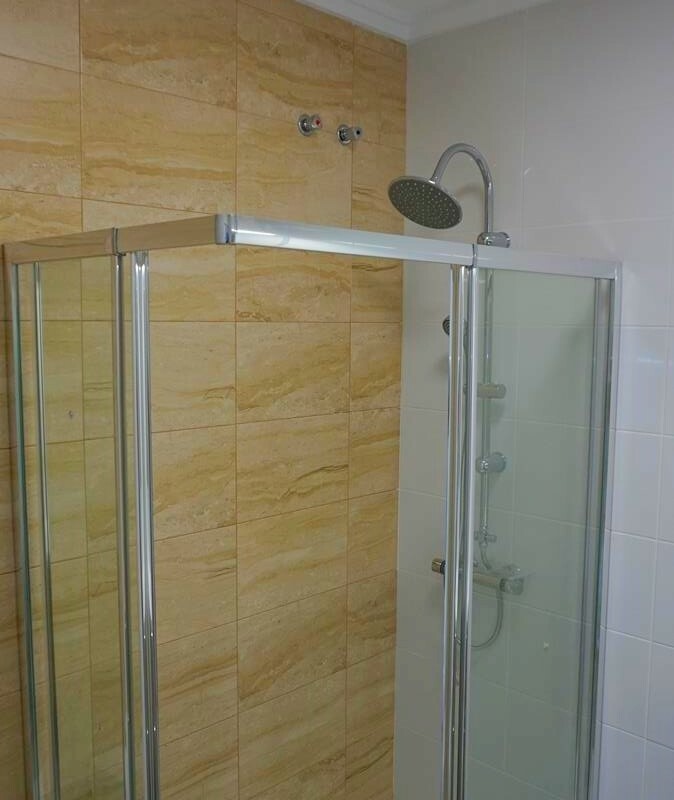 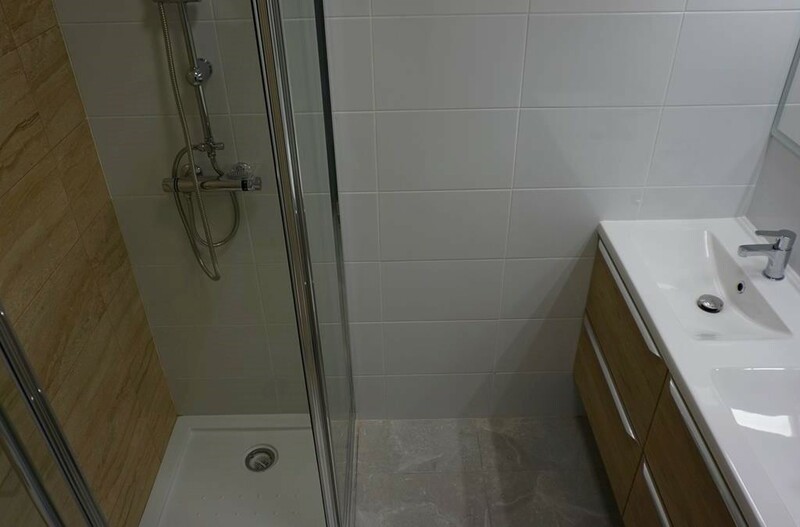 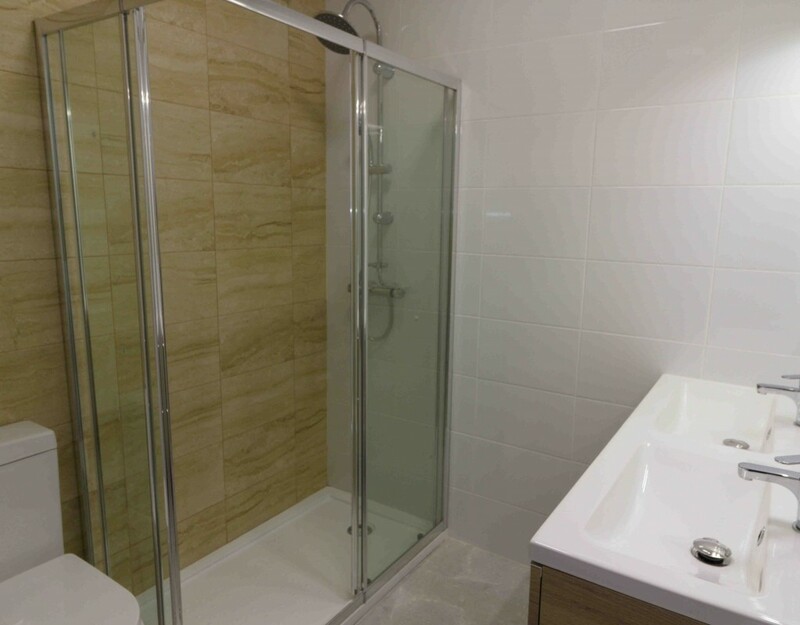 There are also two double bedrooms and a fabulous family size bathroom with his and her sinks on the main level. 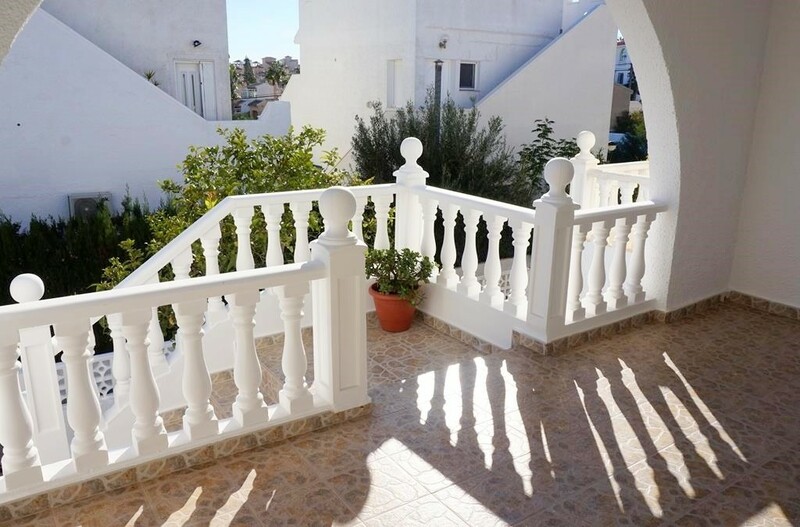 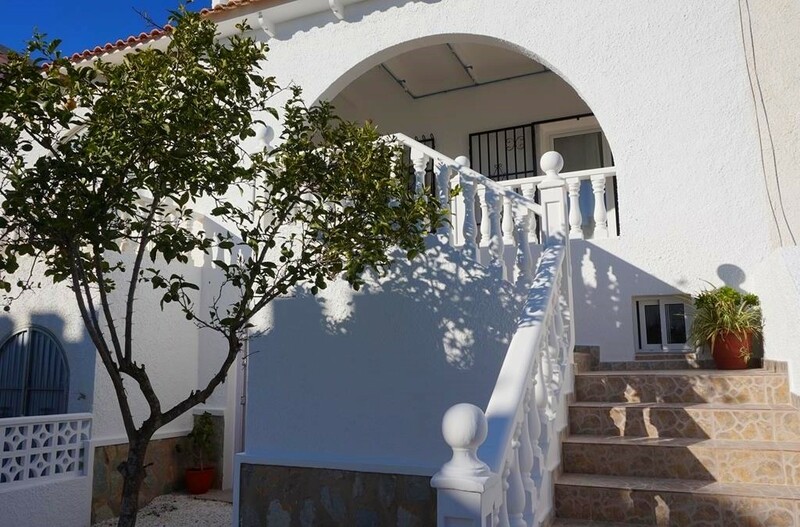 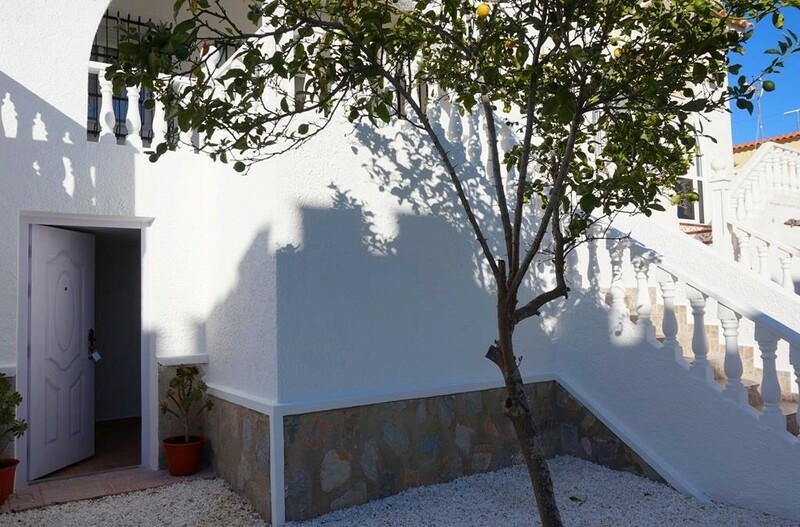 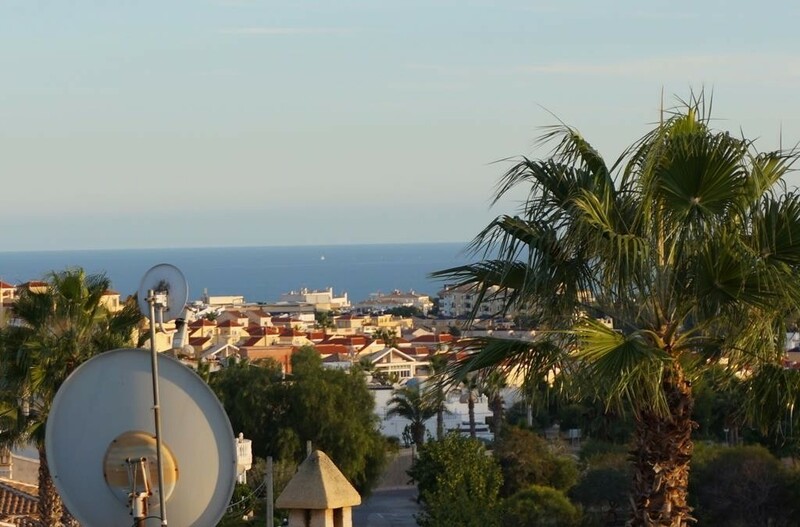 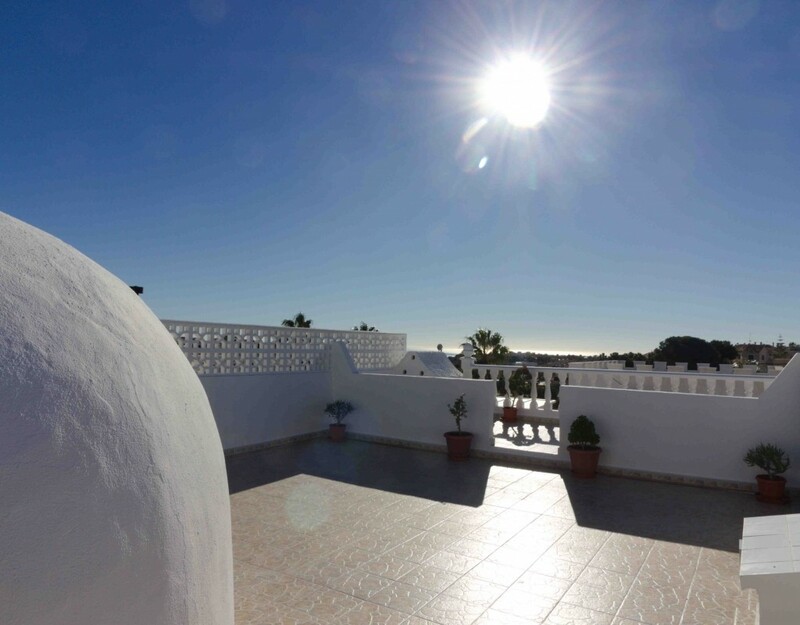 From the rear of the property you will find another sun terrace with stairs leading up to a simply amazing private rooftop solarium with some fantastic views including the Mediterranean Sea!! 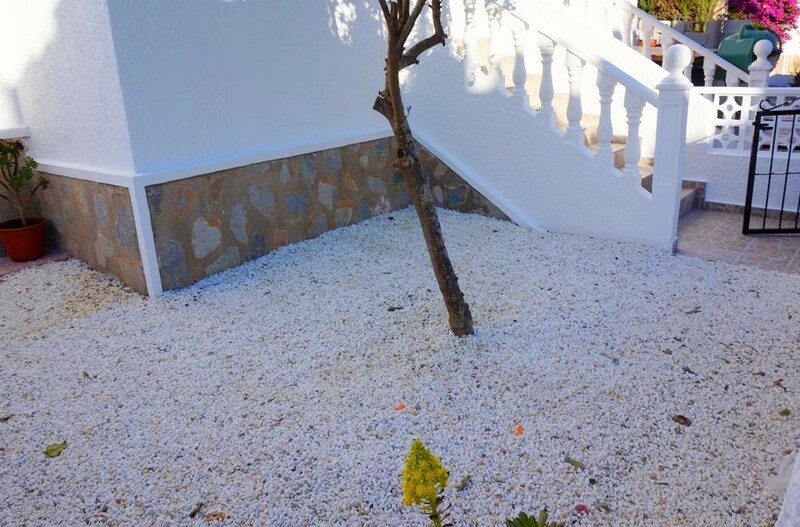 This is an idyllic area in which to relax, dine or entertain all year around. 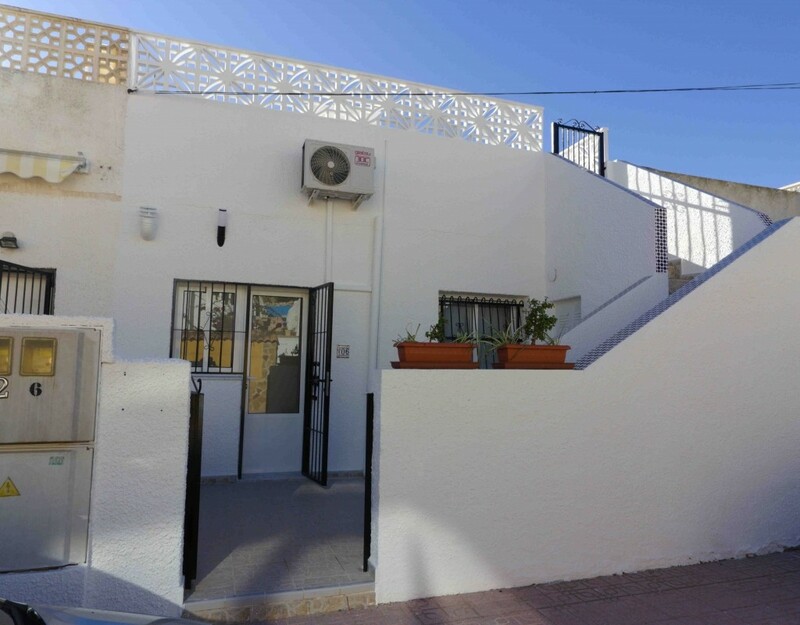 This delightful property also benefits from a separate room which has its own entrance at street level which could be become a third bedroom, an office or simply used as a storage room. 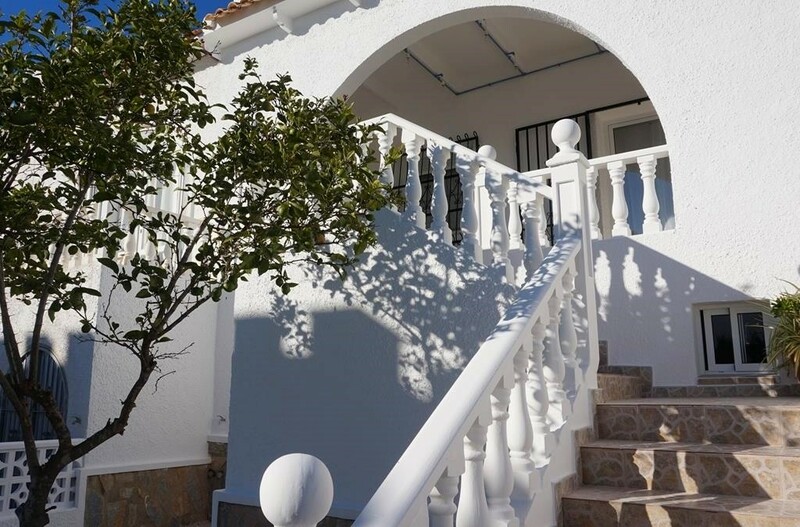 As well as the raised front sun terrace, rear terrace and solarium of 69m2 there is also a good size front garden offering ample room in which to enjoy the Spanish sunshine and the outdoor style of living. 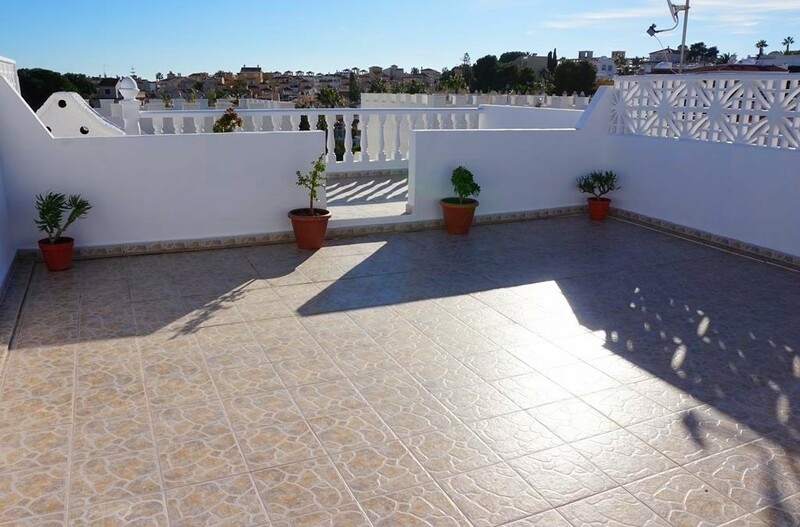 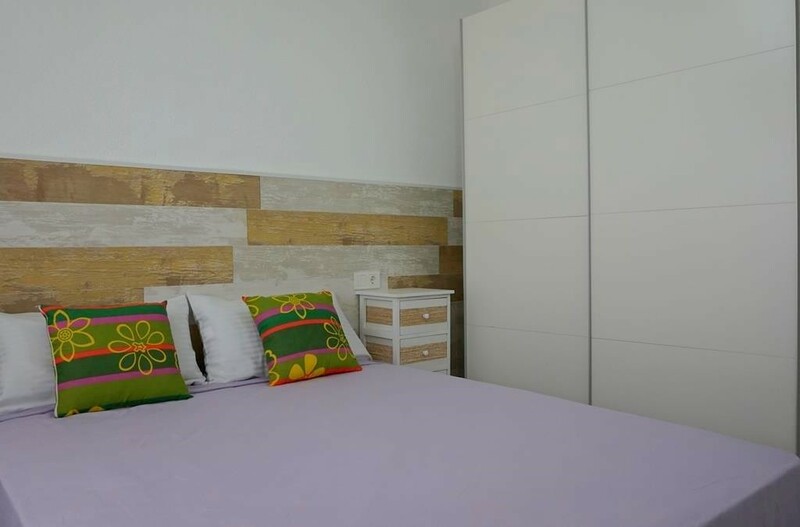 The property further benefits from air con and will be sold fully furnished including all appliances all of which are brand new making it a turn key option. 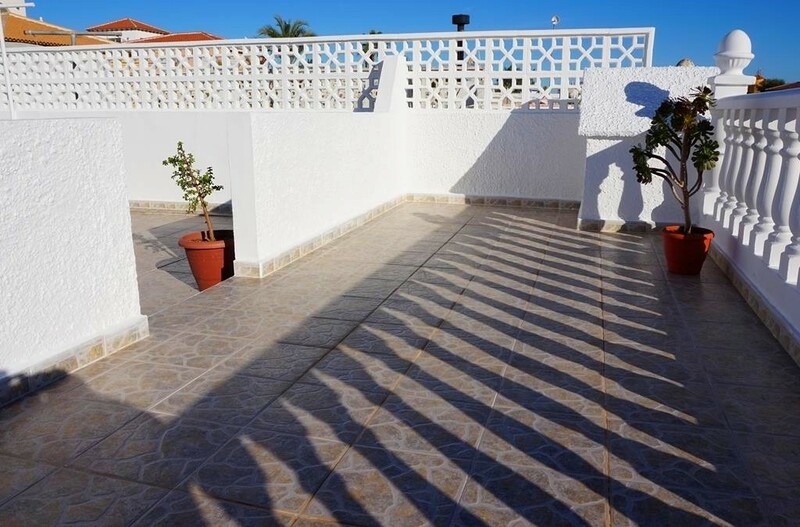 Due to its size and location this superb property offers an excellent opportunity to own a great property in the sun whether it be for permanent of holiday living. 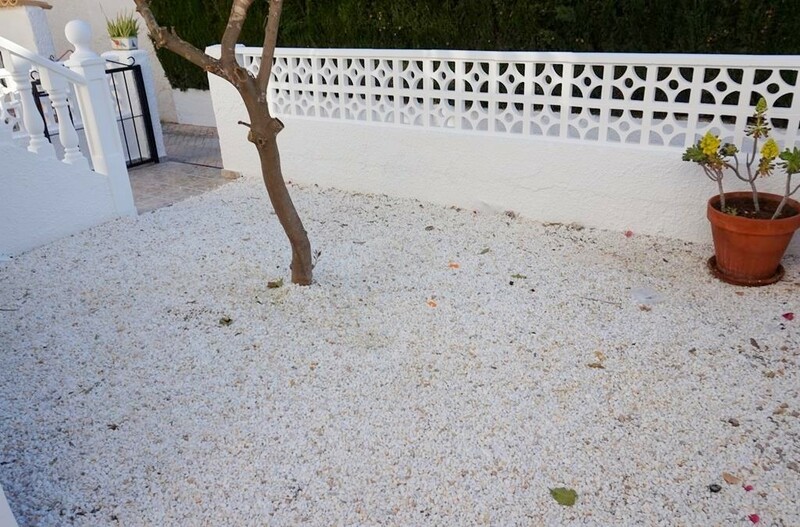 Also close by is Villamartin with its amazing golf course and the very popular Plaza which offers a wealth of amenities. 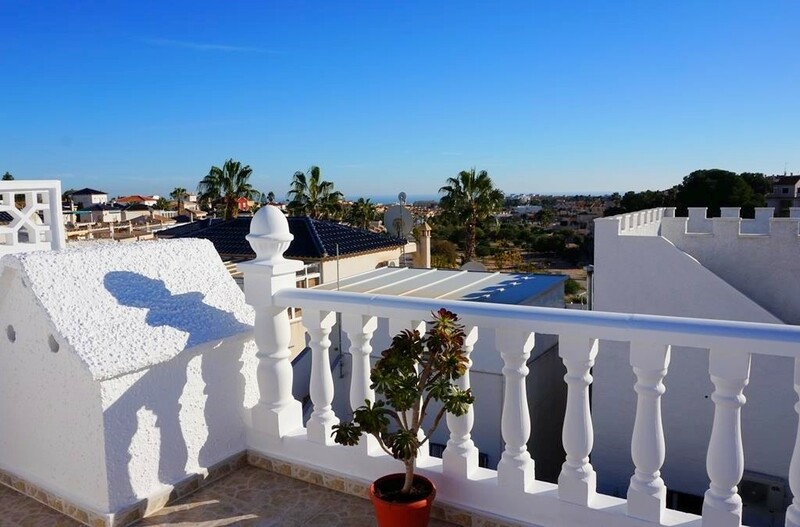 Just a short drive will take you to the many lovely sandy beaches at the Orihuela Costa resorts such as Cabo Roig, La Zenia, Playa Flamenca and Punta Prima along with some other beautiful golf courses such as Campoamor and Las Ramblas. 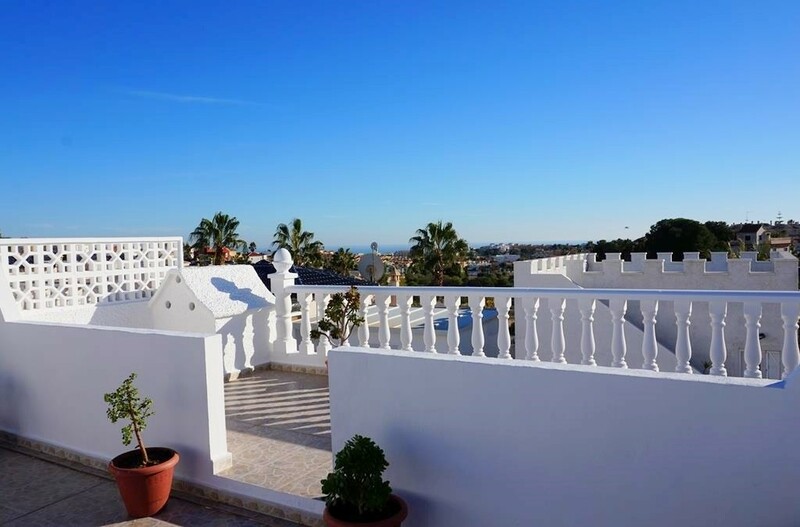 There is also the amazing La Zenia Boulevard shopping mall on your doorstep where you will find a terrific choice of shops, bars and restaurants along with a casino and bowling alley.